HOME is currently presenting Annie Baker’s Pulitzer Prize winning masterpiece of modern naturalism, Circle Mirror Transformation. Set in a community Centre in Vermont, the play centres around five characters who undertake a 6 week series of Drama classes and features an all-star cast of television and stage performers. I went along to Buxton Opera House with an open mind, expecting to see a fairly entertaining children's show and can only say it just shows how wrong you be sometimes. The Little Match Girl is a pure delight, encompassing action theatre, folk music, comedy, pathos, dance and a lot more. Yes, children will enjoy this spectacular journey through the stories of Hans Christian Andersen but this is unquestionably a show for adults. Dickensian settings and costumes blend with bang up-to-date satire, and folk music from the 16th and 17th centuries is interspersed with easy-listening songs from the 60’s and 70’s. 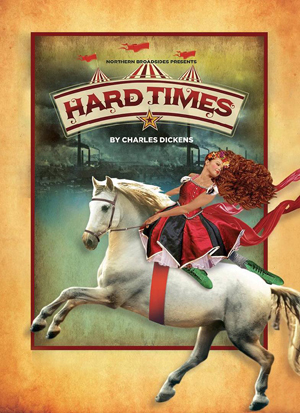 Charles Dickens’ classic novel Hard Times is a story set in the 19th century, amidst the fictional setting of Coketown; a northern industrial town in England. It features the typical Dickensian characters; from the stoic to the eccentric and it deals with the theme of emotional repression in a world full of facts. Writer, Deborah McAndrew has revived this classic story to a stage masterpiece with an exuberant script and highly energetic dialogue. Director Conrad Nelson uses an eclectic collection of contemporary theatrical devices mixed with classic theatre acting to create a vibrant performance which was entertaining and engaging for audiences young and old. 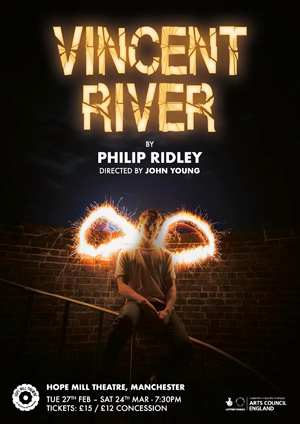 Vincent River by Philip Ridley premiered in London at the Hampstead Theatre in 2000; the script has been cleverly adapted to accommodate the town of Manchester where Hope Mill Theatre hosted this compelling and gripping play directed by John Young. Hope Mill is notorious for its versatility and creativity in set design and the use of their fabulous theatre space, and they did not fail to deliver again for this performance. On a freezing evening guests were given blankets and lead into the auditorium where you walked through the set to the seating area giving you an authentic feel of entering an apartment through its front door. Politics, like it loathe it, is always with us; the subject of Brexit seeming exhaustible and political satires can give some respite with certain issues giving rise to complete plays. Up and Coming is set against a political backdrop but there is not a single issue or political policy mentioned in the entire play and there is nothing to identify any of the characters with any political persuasion. The target here being simply the egos and failings of MPs with the politicians - who are all male - more akin to jockeys in a horse race, all trying to get the most powerful position possible by whatever means whilst enjoying their vices along the way. 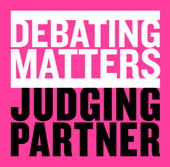 There is no attempt to look in any detail at the political processes, as in ‘Yes Minister’ or set the action against any event or issue. 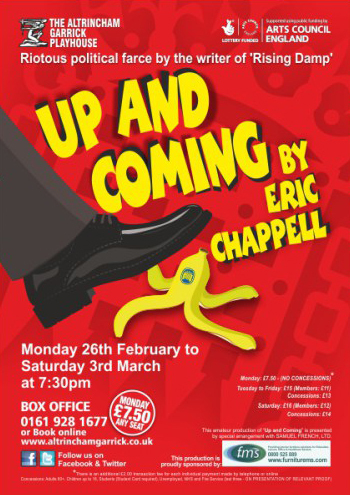 Up and Coming could be placed in the same genre as the classic Ray Cooney farce ‘Out of Order’, again set in a posh hotel bedroom with an MP trying to keep their indications under wraps. 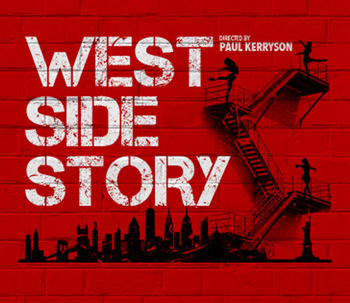 This production of West Side Story can only be described as superb. After seeing the show, it came as a real surprise to discover that this was a local community production, directed by the CEO of Buxton Opera House, Paul Kerryson. The level of professionalism and polish could hardly be bettered by any West End production, with the energy and enthusiasm of the cast never wavering from start to finish. 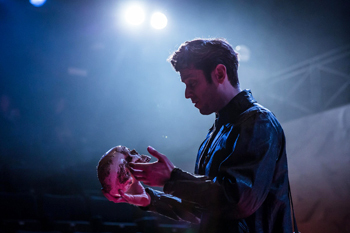 It often seems the better known a Shakespeare play, the more modern directors and writers appear tempted to make it appear superficially different. Whether dressing people up as superheroes, placing the setting in a Nazi concentration camp or re-writing the whole story for a very different scenario linked only by tepid allegory, such attempts frequently go too far and produce disappointing results. This is a show which can truly be described as a real treat encompassing catchy period music, amazing physical effects, stunning multi-media production and a strong cast. It also pays homage to both a classic British film and one of our most enduringly popular playwrights. Writer/Director Emma Rice has done a most excellent job in taking a classic film and moving it to a new era whilst never losing sight of the original. 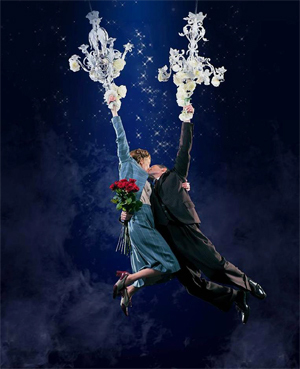 This production of Brief Encounter presents a something problem to reviewers because there are several artistic effects which really deserve special mention but to do so would give spoilers to what are otherwise genuine surprises. It certainly has for me - the most powerful and creative images I have ever seen, with many clever and at times, jaw-dropping twists. Hope Mill Theatre hosted this tragic but compelling play of every parent’s nightmare to have a child die unexpectedly. 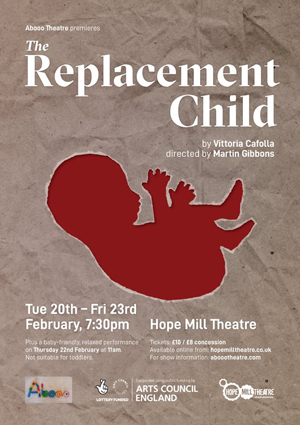 The Replacement Child is produced by Abooo, a new theatre Company set up by actress Clare Cameron who plays ‘Jude’ in the production. The Company is dedicated to celebrating theatre made by and for parents. As a mother herself Clare wanted to see more stories on stage that mirrored her own experience of child birth and parenting in general. 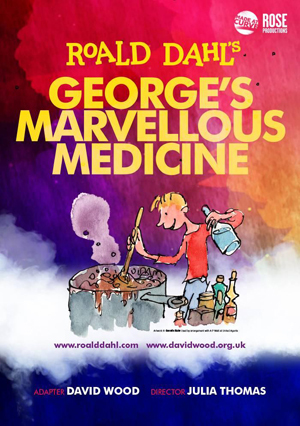 A Curve, Leicester and Rose Productions joint venture, this was a slick and entertaining stage adaptation by David Wood of the Roald Dahl children's classic story. On entering the auditorium we were presented with an excellently designed and compact set which aided the play and our understanding of the situation and place. Grandma's rise from the caravan was especially well designed. This, combined with some excellent special effects really helped the audience to be complicit in a rather bizarre and difficult to create on stage storyline.